One of the most remote places on Earth – the Polynesian Triangle hosts some of the most exciting islands. From holiday paradise like Bora Bora and the Cook Islands to unique cultural heritage of Hawaii, Easter and Norfolk Islands – just pick your favorite attraction and go. Yes, it might be far from where you live, but nevertheless adventurous! A territory of the United States comprises five volcanic islands and two pristine coral atolls. 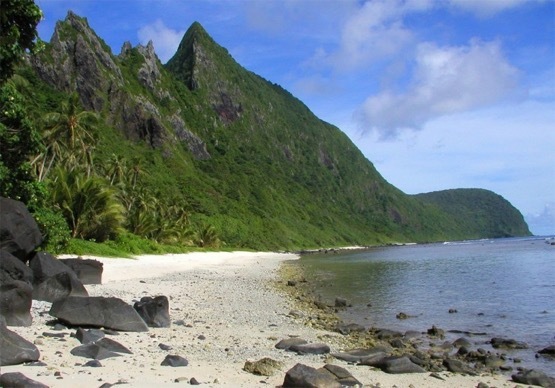 The tiny state hosts the National Park of American Samoa, which features active Vailulu’u volcano, coral reefs, rain forests, rare plants and animals as well as the Samoan culture. Eco tourism has been developed on the islands, that welcome guests to explore this beautiful corner of the world. Samoa has a long and rich cultural heritage – it is said that it is one of the first settlements by the Polynesians. Besides nature provides numerous activities like hiking, snorkeling, diving and bathing. Tropical climate zone ensures warm weather all year round – even water reaches the same temperature as outside! 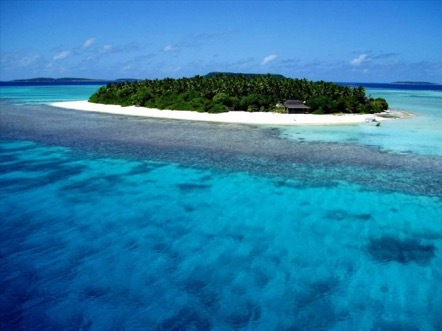 A remote independent nation is made of reef islands and atolls, but still is the fourth smallest country in the world. Due to its remoteness it never gets crowded in Tuvalu. However, the few tourists that will come here will be welcome by hospitable locals, find cozy hotels and pristine nature – warm and crystal clear water to bathe and snorkel in, lush forests to hike and tropical birds to view. Global warming threatens to flood Tuvalu and bury it under the Ocean for good. Therefore dedicated travelers should definitely have the island on their bucket list. A Chilean island drops at the southeasternmost point of the Triangle. This is one of the most enigmatic places on Earth due to its cultural heritage, protected by UNESCO. 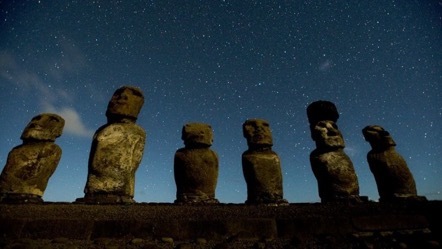 Huge moai – monolithic figures carved by the Rapa Nui people between the 13th and 16th centuries – attract scientists as well as tourists and are among the most recognizable historic monuments in the world. 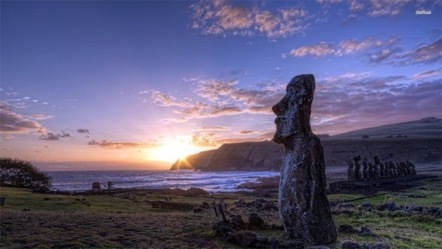 Easter Island can be reached by plane from Santiago, Chile or on the tall ship of Soren Larsen, which takes off from New Zealand once a year. In any case this remote place definitely provides an adventure of a lifetime. 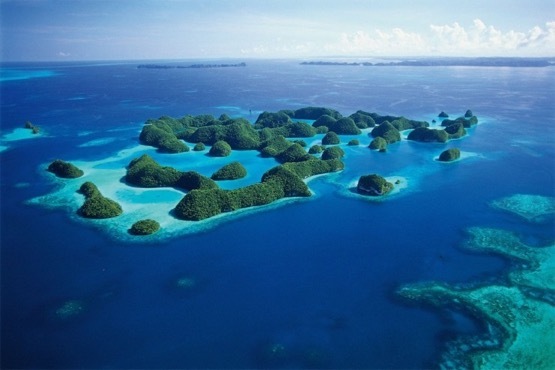 Independent state is an archipelago, which comprises 177 islands! Tonga is a monarchy and present king is Tupou VI. Sadly there is hardly anything truly royal about the government: Tonga has been included in the top 10 list of most corrupt countries in the world. However, recent politics have been determined to develop tourism to this nation, which has preserved pristine nature and authentic culture. The Kingdom of Tonga promises a number of attractions and activities: families, couples and even adventurers are welcome. Amazing beaches and resorts are for those, who are looking for a relaxing vacation. Meanwhile there are numerous undiscovered and uninhabited islands, that can be reached and explored by boat. Situated between Australia and New Zealand, it is different type of a Polynesian island. 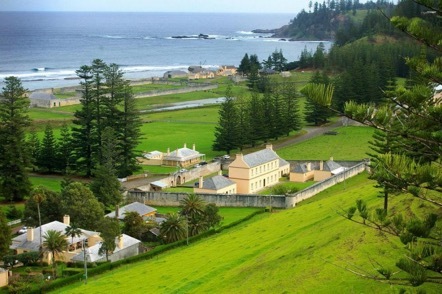 It is found 900 km from Lord Howe Island, therefore its nature is slightly similar: dramatic shoreline, precipitous cliffs and coniferous landscape. When the British came to the tiny island, it was uninhabited. Therefore its culture is mainly influenced by the Western tradition. Although there are beaches, where one can relax, it is its historic heritage, that must attract the most. It is reached by a short flight from Sydney, Brisbane and New Zealand cities including Auckland. 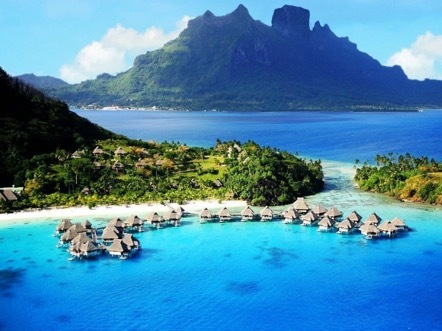 The most recognizable Polynesian island group hosts abundance of world-quality resorts. Cozy over-the-water villas above crystal clear lagoon are almost the symbol of Bora Bora. The curious vacationers also can explore a lush forest, WWII cannons and two peaks of an extinct volcano. However, most of the activities are aquatic and provide great opportunities to bathe, snorkel, scuba dive and even shark-feeding dives. 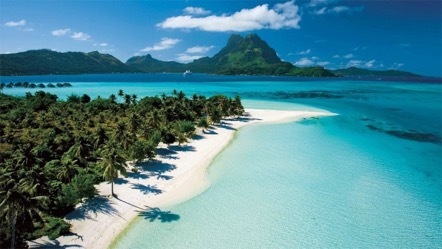 Bora Bora is one of the most desirable holiday destinations in the world. Great tourist facilities and impeccable resorts ensure comfort and ultimate relaxation. The islands are in association with New Zealand and locals are also citizens of the latter country. Tourism has been developed here and provides most of the income. Numerous world-quality resorts ensure divine vacation, while white sandy beaches, turquoise water and palm groves make it an ultimate holiday destination. 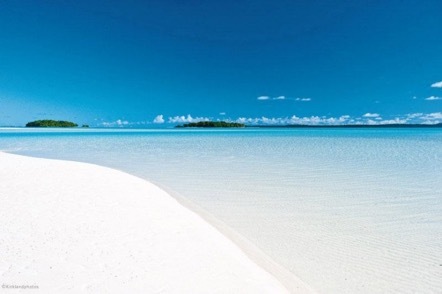 It is easy to book a holiday on the Cook Islands, since tourism and facilities are very well developed here. The coral atolls can be reached by plane from Auckland, Sydney and Los Angeles. The most populous and largest French Polynesian island, popularized by French Impressionist painter Paul Gauguin, Tahiti is another exquisite destination for a wonderful summer holiday. Guests are provided with a spectacular range of activities: from Tahitian spa treatments and wedding ceremonies, to island tours, shark feeding and private picnic on uninhabited islets – just find time to experience it all! It is easily accessible – there are daily flights from Los Angeles, Japan, Australia and Chile. It takes 8 hours from LA, 5 hours from Hawaii and New Zealand to get to Tahiti. The 50th state of the USA, Hawaii still belongs to the Polynesian Triangle. One of the most popular holiday destinations, this volcanic island group hosts a spectacular versatility of natural wonders. From active volcanoes and parks, that look unearthly, to lush forests, valleys and steep waterfalls – here you can find it all. And of course the beautiful soft sandy beaches and crystal clear water will please anyone – from the intrepid surfers and curious divers to lazy sunbathers – just go out there and enjoy your holiday! Only 5 hours from Los Angeles by plane and you find yourself in this heavenly place on Earth. 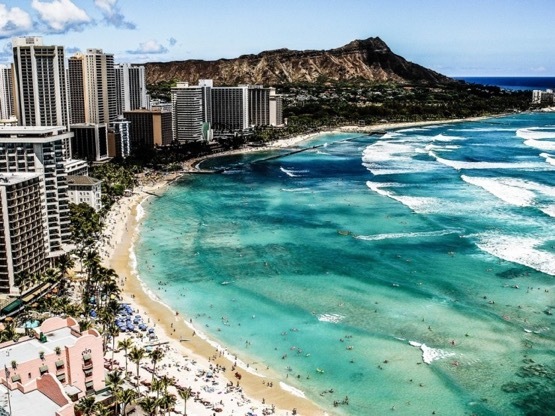 Although a popular tourist destination, Hawaii has preserved its rich cultural heritage and unspoiled nature – things that are so attractive for the visitors from all around the world. Located in the southwestern corner of the Triangle, New Zealand is definitely a place to see at least once in a lifetime. Its biodiversity, natural wonders and historic heritage provide an unforgettable experience. 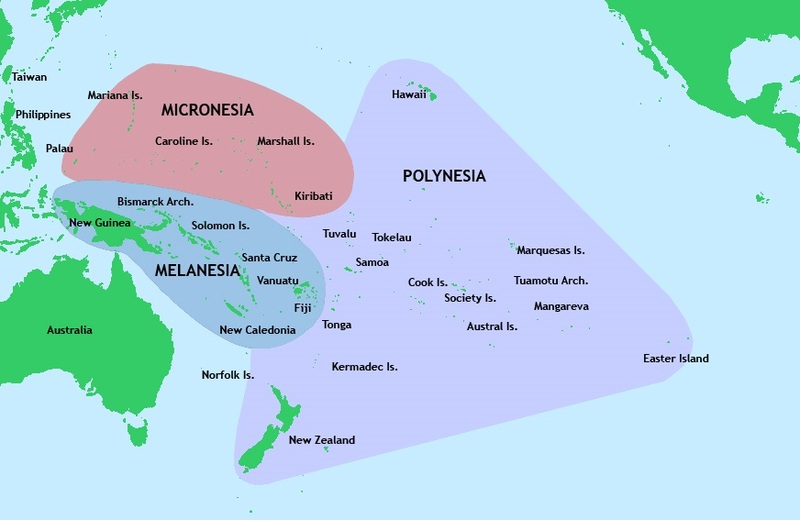 Polynesians have settled here in the 13th century and created a unique Māori culture, present until nowadays. Numerous parks, mountains and beautiful cities attract visitors from around the world all year round. New Zealand is one of our favorite destinations, since it provides an inexhaustible abundance of wonderful sites and views. Tourists go there for a number of reasons: skiing, snowboarding, hiking, mountaineering, even wine tasting – just pick your favorite activity. But unique nature must be the main attraction – it is impeccable!